Meow meow~ bet you wasn't expecting the mother fxcker at the end? xD This graphic is tee quite a statement I must say; the swaggy cat grabs attention to basically say "hai bxtch~". I kept the quote low key in this outfit by tucking it under a skater skirt. 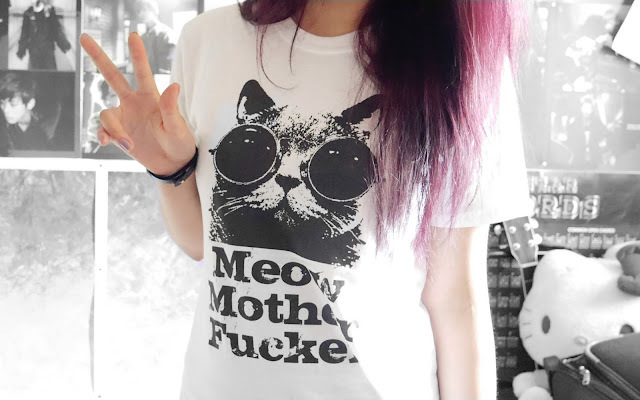 Makes it more appropriate for casual wear (and to reduce the amount of profanity on my blog xD). 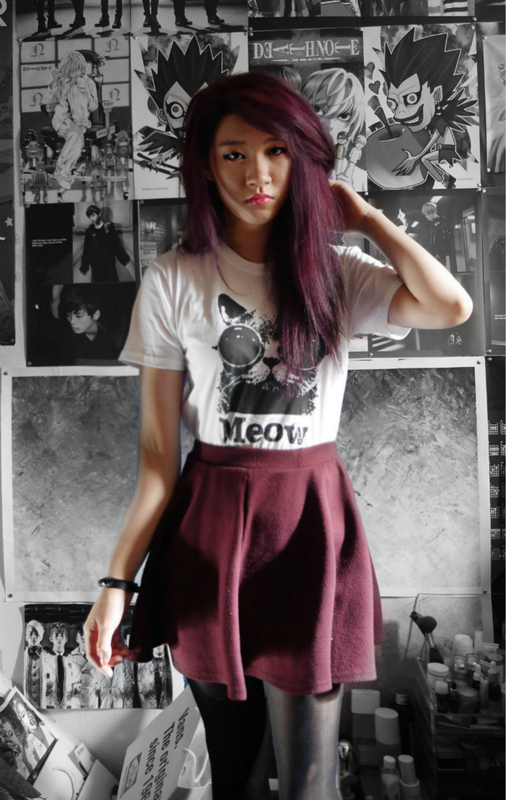 The shirt will pair lovely with any colour skirt, I chose maroon simply because it matches my hair. 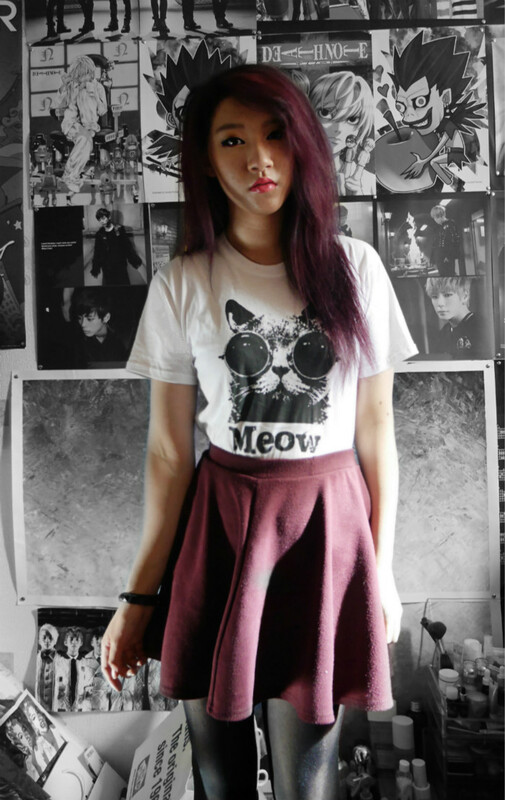 :') On days where I feel more expressive, I simply pair this tee with black skinnys and let the tee do talking. the outfit is so great. The shirt is really awesome x'D it's perfect for both nice and the idgaf-days X'DDD I really like it, haha. 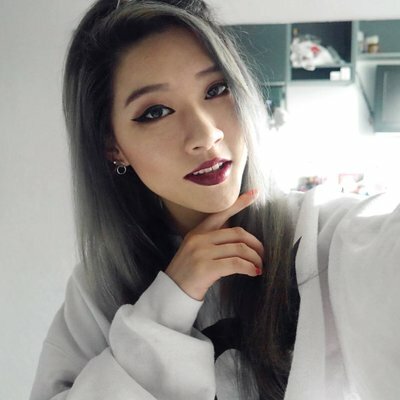 Dear you look so pretty!